We offer area rug cleaning services in Delray Beach, Jupiter, Tequesta and all the surrounding areas. 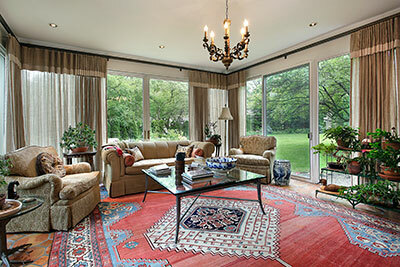 At Delray Beach Oriental Rug Cleaning Pros, we specialize in Oriental, Persian and antique rugs. 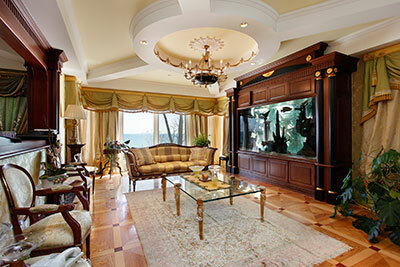 But we can clean any area rug you own that needs a professional cleaning. We have over 28 years experience cleaning rugs... Everything from Chinese rugs to Indian Rugs to synthetic machine made rugs. We offer the same great service with a complimentary consultation so we can provide you with our best price. 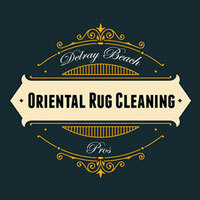 Delray Beach Oriental Rug Cleaning Pros are the best rug cleaners in Delray Beach, Florida. We have satisfied clients from all over the area. We offer a free consultation at your home or office and provide you with a no-hassle professional opinion of what needs to be done to get your rug back to it's pristine condition. Other companies might have you haul your precious rugs to them... Not us. 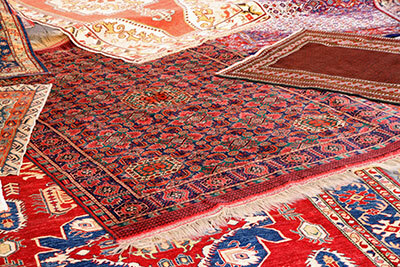 ​We will gladly stop by at your convenience, examine your rugs and provide you with a no-obligation quotation. If you like what we have to offer, we'll have your area rugs back to you in approximately 7-10 days. There's no doubt about it: wool rugs have been around for a while. People have been making use of this amazing natural material for centuries, and with good reason: it's exceptionally durable and makes for outstanding clothing and accessories. Clearly, Mother Nature has a soft spot for sheep as she decided to outfit them with hair that beats all. Likewise, wool rugs have been in use for many, many years. Even today, as new materials pop up 'round-the-clock and people are always on the lookout to make something better, the presence of wool is still felt in a big way. If you've ever had the fortune of owning a wool rug, you'll know how easy it is to clean in most cases – the fibers themselves fight off spills and fire alike, doing much of the job for you and requiring minimal effort on your part. Yet this still doesn't mean wool rugs are impervious to getting dirty. Sturdy as they may be against full frontal attacks, they're quite susceptible to gradual accumulation of harmful and unwanted particles – dust, dirt and other things that make a rug worse for the wear. Being as expensive as they are, wool rugs are best cleaned by a professional company who will avoid damaging the fine threads that the rug consists of. If you feel overwhelmed by the task at hand every time you have to clean your wool rug, don't hesitate to get in touch with us – we'll take care of the cleaning as only seasoned professionals can. ​If you're not all that into having wall-to-wall rugs, you probably made use of a quaint area rug instead. These rugs offer all the perks of a large wall-to-wall piece but give you much more room to maneuver and are infinitely easier to clean, making them a favorite of every home owner with an eye for aesthetics and an unwillingness to clean often. Of course, there's also the gradual accumulation of dirt and dust that no rug can seem to avoid for long – even if you feel your area rug is squeaky-clean, it could be harboring endless bacteria, fungi and dust mites, all having the ability to significantly lower your quality of life. If you have a suspect area rug, it's best not to mess around – give us a call and we'll be happy to address any issues your rug might have. We clean area rugs of every size and shape, made in any country and from every known material – you name it and we'll take care of it. No matter where your area rug is coming from and what shape it's in, we can promise you that it will receive the best possible treatment and come out looking cleaner than you've seen it in a while. We get it: if you have a keen eye for design, your area carpet probably acts as a beloved pet of sorts. It's served you well for many years, giving the room it's in a certain glow and providing it with more vigor than four walls can handle. Sure enough, you might have some reservations about handing it over to a cleaning company you know very little about – even if you've heard good things about us, can you really trust us with one of your most precious possessions? The answer is, of course, a resounding yes. Our cleaning services are exactly as advertised: safe and thorough in every way that counts. We're able to take an area carpet in virtually any condition and transform it by the time you come back from grocery shopping. Likewise, we're masters at working with every material, from thick and sturdy fibers that act as a breeding ground for bacteria and fungal spores to frail ones that can wither and die under the wrong treatment. Our cleaning method treats your area carpet less like an object and more like a person – on every job, we make sure to recognize the carpet's individuality and work in accordance with it. There's no particular reason necessary to give us a call and have us give your area carpet the royal treatment. It could have a severe accumulation of dust, grime and carpet beetles – we won't judge and will instead hop right to the cleaning. It could have a stain of questionable origin – we won't spend too much time thinking about your habits and will instead look to remove it for good. Or, you could simply want to give your carpet a five-star cleaning – all of these reasons are equally valid for wanting to place matters into our hands. Yes, we're a cleaning company: after all, our name says so, and we'd hate the idea of lying to our customers. But this hardly means we can't venture above and beyond in our quest to provide absolute carpet care in the Delray Beach area. Therefore, carpet repairs are an example of our 'extra' services, and they're ones we're greatly proud of. There's a lot of satisfaction to be had in taking a damaged or even ruined carpet and turning back the clock on it by restoring its former beauty through a series of complex procedures. It sounds complicated, but it's all in a day's work for us: we're able to take even the worst-for-wear carpet and, as they say, turn its life around. Sure, it might not be easy, and it might take long hours before we reach the finish line, but so what? We love what we do, and we have no trouble putting in all the work necessary to bring your area carpet back to life. If you're thinking about throwing an area carpet away due to the damage it sustained, we insist you postpone the throwing until we've had a look. We know, we know – it might very well seem as if repairing the damage simply isn't a feasible task. But let us be the judge of it, will you? We're quite sure that we can surprise you and present you with a carpet that looks every bit as the one you gave us except the holes, tears and 'permanent' stains. Moreover, they work hard to fulfill any desires our customers might have – thanks to this, we never have to deal with customer complaints of any kind. With our hand-washing and hand-repair techniques, your Persian rugs are sure to look new after a single treatment. If you have a lovely Persian piece in need of cleaning, feel free to reach us by calling our number during working hours or head straight to our Florida-based office. We're always happy to take your call and answer any questions you could have regarding our services, including details about pricing and time spent on the job – we get that very few people feel at ease when putting their precious Persian rug in the hands of strangers, so we have no issue letting our customers get to know us first. Without exception, Persian carpets are beautifully woven rugs with intricate patterns and elaborate designs. Always in high demand among Palm Beach residents, they are renowned for their aesthetic appeal and the ability to enhance the look of any room with their sophisticated charm. Regular dusting and cleaning helps, but doesn't get rid of all the stubborn stains and dirt your Persian carpet sustained over time. DIY efforts only remove the outer layer of dust while the inner layers of fabric stay clogged with dust and grime. Furthermore, when applied too often, regular carpet cleaning methods will gradually ruin the fabric of your Persian carpet until it becomes a far cry from its original state. To remove deeply-embedded dirt and dust particles from your precious Persian carpet, you'll need the services of a professional cleaning company that knows it stuff. We're glad to say we fit the bill: over time and through hard work, Delray Beach Oriental Rug Cleaning Pros have established themselves as the most sought-after carpet cleaning service in Florida. We provide the exact type of care your Persian carpet needs by following a detailed cleaning process: starting with regular dusting, followed by hand-washing with a gentle detergent, using a special tool to clean the delicate fringes and finally leaving the carpet out to dry. We know that Persian carpets bring comfort, style and glamour to a person's home, and we want to help them continue performing their duty to you. We understand how precious your Persian carpet is, and you can count on us to take great care of it and ensure it sustains no damage while in our capable hands. ​There's a reason why antique rugs are so expensive – they make for some of the most charming and magnificent home accessories you can find. Brightening up a plain room and giving it a chic and prestigious appearance, these rugs are a favorite of every home owner who can afford them. With so many perks, it’s no wonder home owners in Florida are scrambling to buy these beautiful antiques to set their rooms on fire (figuratively, of course). However, amid all the excitement, it’s easy to forget that antique rugs are very sensitive and delicate: despite the seemingly-sturdy nature of many pieces, they require a lot of care and maintenance or they will soon start losing their looks. Over time, an antique rug is exposed to numerous detriments: constant footsteps, accidental food and fluid spills, grime, dust and so on. These elements tend to leave ugly stains on the rug that, if left unchecked, will wreak havoc on its fabrics and colors. The remedy for a hurting antique rug is straightforward: a proper cleaning session by seasoned professionals with a vested interest in making rugs shine. Before cleaning any antique rug, we'll conduct a full inspection to determine its origin, fabric, weaving technique and other details that help us decide on best cleaning solution. We'll then wash it using 100% rug-friendly solutions that wipe out even the most stubborn stains, leaving the rug glowing with cleanliness. Afterwards, we rinse and dry out your antique rug before our quality control team takes over to see whether the cleaning job was done without errors. No matter the specific rug you own, our rug cleaning methods deliver results that are sure to last you a very long time. 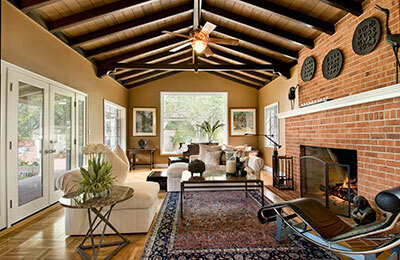 Faded colors, stains and burns are issues that even the most careful rug owner eventually faces. Instead of handling these yourself, it’s best to go for a professional carpet repair service that can eliminate all of these problems in one go. Even if you feel your rug is damaged beyond repair, it always pays to consult a professional service provider before discarding the piece completely, albeit hastily – the more you delay contact with a professional, the harder it will be to repair the damage to your rug. We're more than just a team of expert rug cleaners: we also have years of experience handling various repair jobs around the Florida area, and handling them well. Rest assured, we have the necessary knowledge to improve the condition of your rug no matter its background or the specific issues it has – our great results and commitment to long-lasting solutions have cemented our place as the most sought-after rug cleaning and repair service in our area. Every member of our staff is qualified and knowledgeable in all aspects of rug care, including repairs. It's a good thing, too – being valuable assets in any home, you need the very best cleaning service to handle antique rugs no matter what they're suffering from. We begin every rug repair process with an assessment of the damage sustained by your rug, followed by an in-depth inspection by our professional cleaners that lets them select the best possible course of action for repairing your antique rug. Regardless of the extent of our repairs, you can count on our work transitioning seamlessly into your rug and giving it a fresh-out-of-the store appearance no matter where we started from. ​Aside from being considered one of the primary reasons for damaged clothes and flooring in homes that house animals, pet odor is also known for quickly creating a persistent foul stench in any indoor environment. But there's more than bad smell to it: the waste also pollutes the air inside your home, potentially introducing health risks. It's a hectic and challenging task to try and clean the pet urine by yourself, usually yielding very limited results – if your pet went no-no on the surface of your carpet or rug, it's not enough to simply wash the upper layer of the fabric as the fluid will quickly seep through and into the inner layers. Instead, the resulting odor can only be removed by a professional cleaner – thanks to our knowledge and experience, we can free your carpet from the disgusting smell and leave it glowing with cleanliness in no time. ​When pet urine enters the carpet, it soaks into all of the many layers of fabric, meaning every single layer needs to be considered on its own. As already noted, the presence of urine not only damages the delicate material of the carpet but also introduces a smell that, simply put, makes the whole house stink. To eliminate this deeply-unpleasant smell, we've devised the perfect methodical procedure that will make pet odor a thing of the past: our service starts with an assessment of the individual conditions, is followed by a thorough assault on all the affected layers of the fabric and rounded up by the application of a safe deodorizer. The result? A home that everyone would want to spend time in. Do you have any cute (yet slightly pesky) pets running around your house? They've probably shed no small amount of hair on your beautiful rug, or maybe even trekked mud and grime over that new and very expensive upholstery – if they're really looking to make trouble, they might have relieved themselves on your fabrics as well. Every pet owner knows it: as cute and cuddly as they are, pets can also make quite the mess. It's hard to blame them as it’s simply in their nature, although this doesn't stop home owners from wanting their soiled rugs and carpets returned to their pristine condition. You could, of course, get down on your hands and knees and take care of the soiled rug yourself. You could even pull out that ostensibly-powerful commercial vacuum cleaner to help you along the way, but will all the hard work truly pay off or will you be left with stray hairs stuck inside the rug and invisible stains attacking your nostrils? What you really need is a professional cleaning company with the chops necessary to take care of your beautiful rugs and carpets. Instead of stressing over the cleaning process, just sit back and let us give your rug the service of a lifetime. Our team of trained professionals is more than happy to take the stained rug off your hands and care for it as if it was our own – by the time we're done, you'll be calling friends and family over to show off your "new" floor covering while forgetting it was ever home to some nasty stains. Water isn't exactly the first thing that comes to mind when someone thinks about the ways to damage a carpet. After all, don't fire and pet claws sound much more menacing? 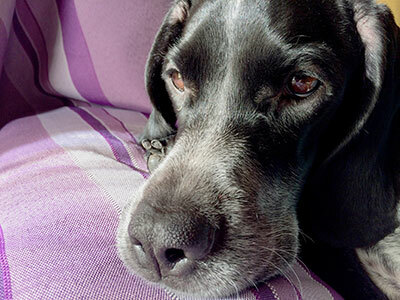 In reality, water can be every bit as damaging to a carpet or rug as a dog going haywire. In fact, it's often the perils we underestimate that end up haunting us the most – left to run its course, water can wreak havoc on even the most resilient rug. Over our many years in the business, we've dealt with virtually every form of water damage that a carpet can incur: from burst pipes to flooded toilets to moisture accumulation, we know how to go about restoring your precious floor covering no matter what it's soaked in. Waiting too long to start the water damage restoration process is a bad idea for several reasons: for one, the water that your carpet got drenched in could very well be unclean and pose an increasingly-concerning health risk to you the more you wait. The longer moisture is left inside a carpet or rug (especially in a poorly-ventilated room), the greater the chances of mold forming on some layer of the carpet. And let's not forget about the most obvious issue: as time passes, water will erode fabric more and more until the fibers become nothing but a shadow of their former selves. If any of these sound scary, it's because they are – as precious as it is, water can also be quite the killer. So don't wait a minute longer to start the water damage restoration process – give us a call and we'll figure out how to undo the potentially-extensive damage your carpet suffered from due to water exposure. The word 'fringe' is used to describe something on the outskirts: something away from sight that will be forgotten given enough time. We have to say that this is a very accurate description of an area rug's fringes: they are the part that's most often cleaned poorly and not at all and, as a result, can become the rug's most problematic aspect. 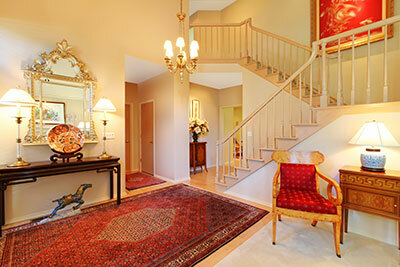 Many people are afraid of cleaning an area rug's fringes due to the possibility of damaging them. These fears aren't unreasonable – the fringes are almost always the most vulnerable part of a rug and cleaning them takes a delicate touch and an experienced hand. Fortunately, these are things we have in abundance. Being supremely skilled in every aspect of carpet care, our experts will have no trouble cleaning the fringes on your area rug and bringing them back to mint condition. While we always take the time to mention that our procedures never bring any harm to a rug, we feel it's particularly important here considering the frailty of fringes on an area rug – we clean all fringes, even those that are old or damaged in some way, without harming them in any way. If you've ever felt a lack of confidence when faced with the prospect of cleaning your area rug's fringes, know that you are in the overwhelming majority of rug owners. Don't worry – no matter the exact type of your area rug, we'll take care of this difficult task for you while making it look easy and delivering oustanding results. Being an area rug's most delicate part, it's no wonder that fringes get damaged so often. It's more than just the damage being common, however – fringes are notoriously difficult to restore and need the hand of a true expert to be stitched back into prime condition. The ways through which your fringes can get damaged are numerous. A fringe or couple could find their way under furniture without you noticing and end up becoming separated from their pack after an energetic rug movement. Pet owners know all-too-well that animals have a keen interest in fringes, likely due to their playful nature – it's not uncommon for this interest to translate into a full-blown war with the fringes that sees many of them chewed off or otherwise torn from the rug, with other becoming damaged in the pet's attempts to acquire new companions. And what about the passage of time? Being the most loosely-attached part of your area rug, fringes will often be the first to fray or even fall off as time passes, especially if the carpet is being moved frequently. How your area rug's fringes became damaged isn't all that important: what matters is you taking the first step towards their restoration by giving us a call and seeing what we can do to restore the most vibrant aspect of your rug. Long and thin, short and thick, few and far between or as dense as tall grass – we'll repair any and all fringes that have seen better days, restoring your rug's appearance and letting it shine once again. When at their best, rugs liven up the entire room with their resplendent colors and intricate, complex patterns. Yet everything has an expiration date: given enough time, even the best rug will suffer from certain issues that plague all rugs to some extent. Loss of color is among the biggest and most common of these issues. The reasons for a loss of color on your rug can vary greatly: liquid spills, pet waste, exposure to moisture, foot traffic, sunlight... Whichever the culprit, one thing is clear: fading or ruined colors are never a welcome sight on a carpet and you should see to it that they're corrected as soon as possible. We specialize in color correction on all sorts of rugs and of varying degrees of severity – don't hesitate to call us even if your antique or Oriental rug sports an intricate pattern of color that seems impossible to replicate. Since handmade carpets are among those most often suffering from discoloration due to the use of natural dyes, we've gained a tremendous amount of experience working with some of the more unusual pieces and restoring their picture back to its original glory. Likewise, we perform all types of color correction: from brushing certain spots in order to have them seamlessly blend into the rest of the rug once again to coloring huge parts of a rug or even its entire surface, no task is too great for us and our nurtured expertise. When we're done with it, your area rug's colors will be as full and livid as they were on the day of their initial application. When it comes to floor covering, rug pads are worthy of the persona non grata title: they're often doing all the work while most people aren't even aware of their existence. Rug padding is meant to act as your carpet's own support system: placed between the rug and the floor, a rug pad serves to provide any combination of additional utility without putting too big of a dent in the rug's owner pocket. Yet rug pads aren't perfect: many of them can cause more trouble than they're worth, and no home owner should install a rug pad without making sure that they've made a sound choice first. Likewise, an improper installation can damage the carpet as well as the floor – instead, rug pads should be installed by professionals who will ensure that the padding fits the carpet like a glove. We offer our rug padding services to all customers and for all types of rugs: from antiques to factory-made ones and from wall-to-wall behemoths to small yet powerful area pieces, we'll find the right rug pad for you and install it so you won't even notice it's there. We'll talk to you about your needs and wants and help you find the perfect rug pad for your home – we never settle for anything less than perfection and neither should our customers. Needless to say, every rug pad we provide is perfectly safe for your home and the people in it – with Delray Beach Oriental Rug Cleaning Pros-installed rug padding, you'll never have to worry about dye bleeds and harmful chemicals ruining your leisure time.